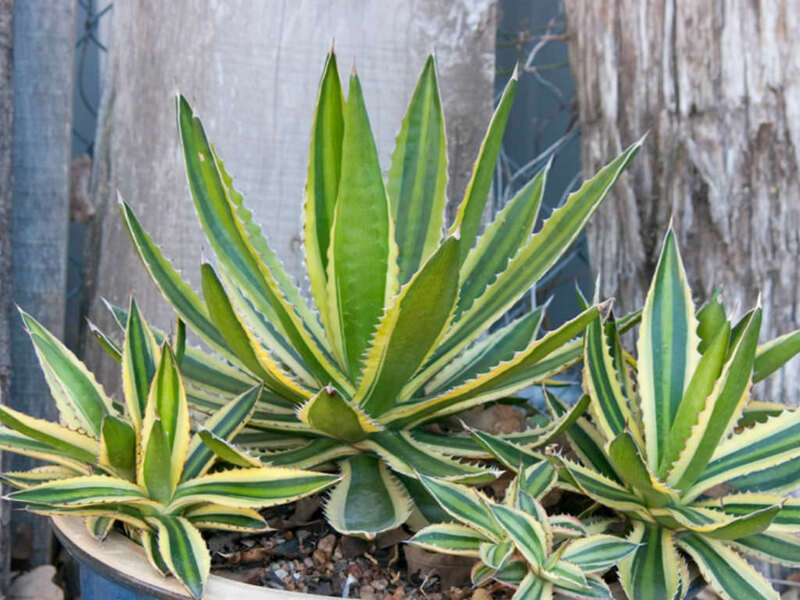 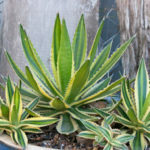 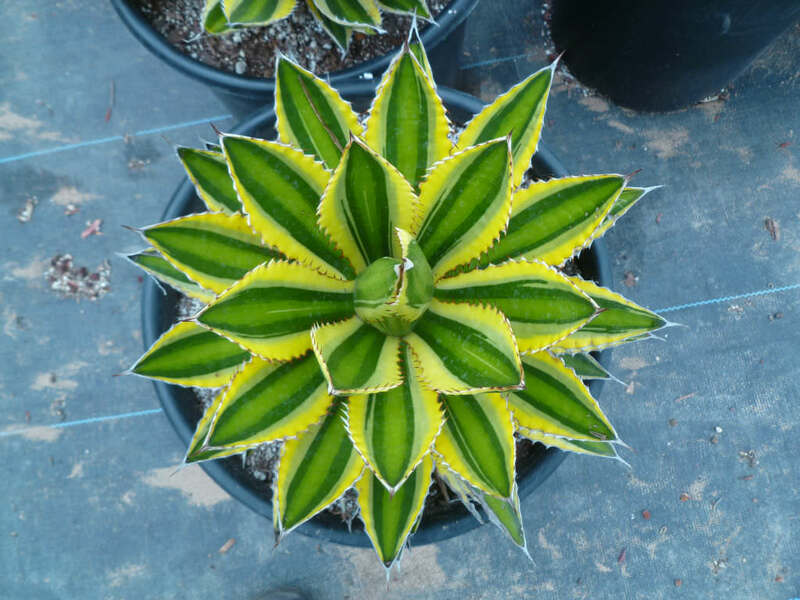 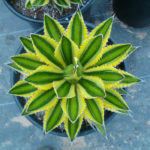 Agave univittata ‘Quadricolor’ is a very distinctive and attractive, small Agave up 18 inches (45 cm) tall and up to 2 feet (60 cm) wide. 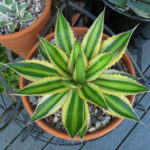 The leaves are up to 12 inches (30 cm) long and dark green, edged with yellow and having a pale green midstripe. 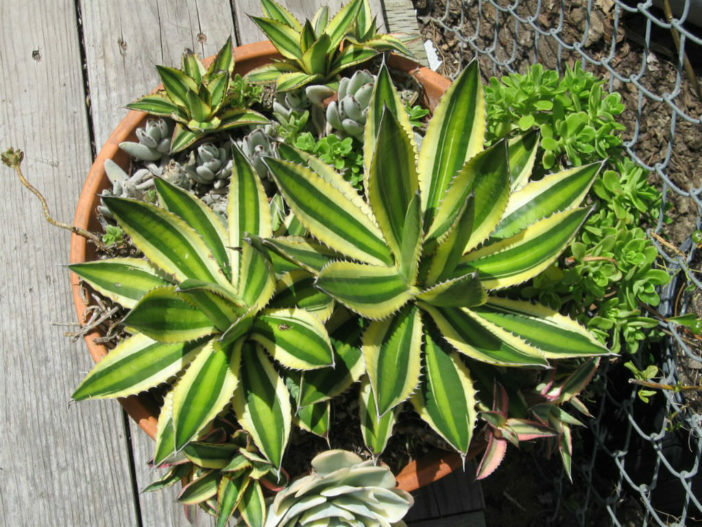 The yellow marginal stripes, are highlighted by dark reddish teeth. 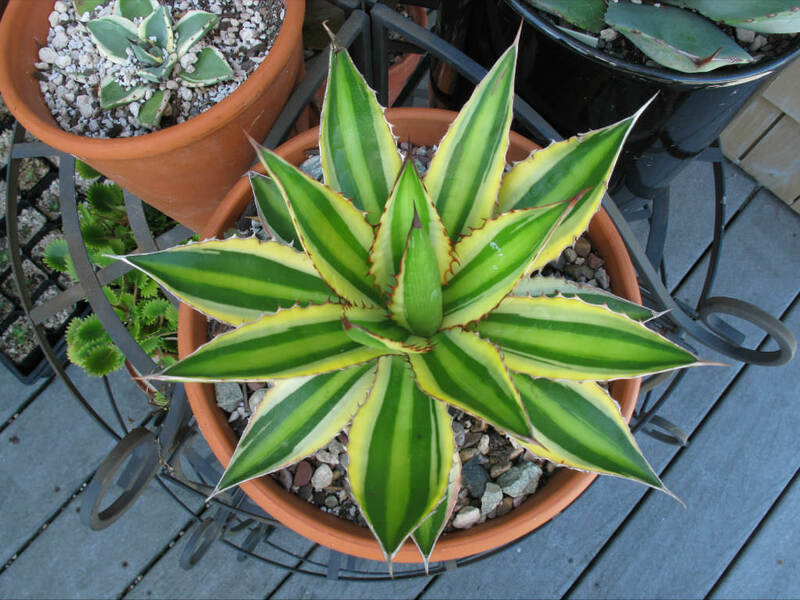 It flush red when grown in bright light to give the leaf four distinct colors.